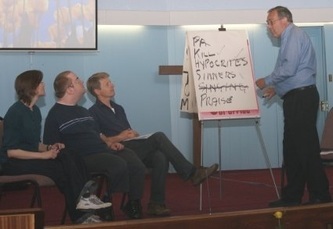 Presenting the Christian message in a humorous and culturally relevant way. 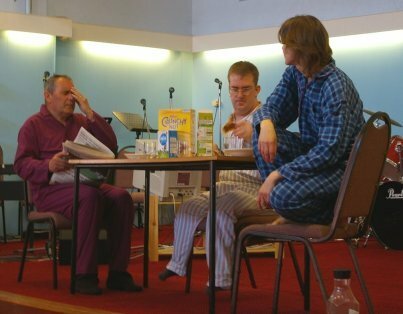 The Drama Group act out re-tellings of Bible stories and themes in short sketches with the aim of entertaining whilst presenting a memorable message. Drama can be a very effective way to get a point across, capturing people's imagination and reinforcing the words of the sermon. And for those acting it's great to be so actively involved in the life of the church and have an excuse to dress up and play with props! Most of the material they use is written by Michelle, our Drama Group leader. You can view scripts and videos of some of the dramas via our media page. 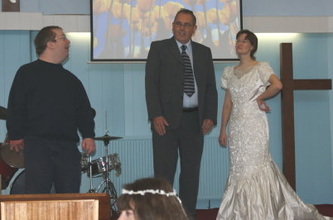 There is always a sense of anticipation when the drama team will be taking part in our service!